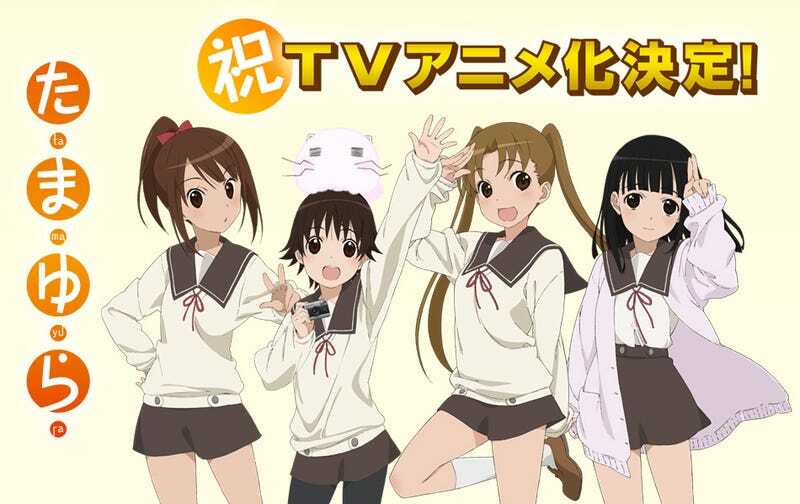 Finally has been released the first trailer for the 4 film Saga of Tamayura. The first movie will be called: Tamayura: Sotsugyo Shashin Dai-1-bu Me -Kizashi- (Tamayura: Graduation Photos Part I: Sprout - Portent). The Part II and III will be released this year while the Part IV will be on 2016. The Story revolves around the members of the Photography Club in a High School; especially on the third grade students: Fu, Kaoru, Norie and Maon. And all the doubts and dreams of their upcoming future.